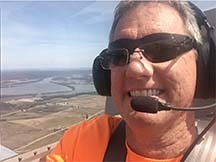 Chapter 32 meets the 3rd Saturday of the month at the Aviation Resource Center at St. Charles County Airport / Smartt Field (KSET). General Meeting begins at 10am. Presentation following meeting. 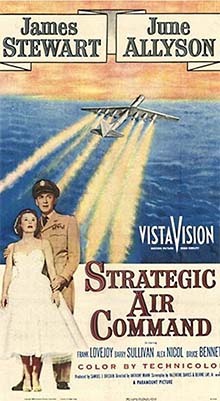 -- Movie at the ARC: "Strategic Air Command"
-- Learning as We Go: "SPRING - Give us a BREAK...Spring Cleaning"
Strategic Air Command is a 1955 American military film starring James Stewart and June Allyson, and directed by Anthony Mann. Released by Paramount Pictures. Saga of the US Air Force special bomber unit during the Cold War era. A professional baseball player is recalled to military service because of the expert flying skills he acquired during World War II. Although the athlete and his wife are both reluctant to give up civilian life, both come to realize the importance of the defense mission. The film features spectacular aerial footage of big B-36 and B-47 bombers. Meat and Soda Provided by Chapter32. This is a Pot Luck Dinner, Bring a side Dish. Movie starts at 7:00 PM. For your own comfort, bring a comfy chair. The remaining Young Eagle dates for 2019 are May 11, June 8, July 13, August 10, September 14, and October 5, 2019. All flights are determined by the weather conditions and availability of pilots. Registration forms are available the morning of the Rally. A parent or legal guardian must sign the form before the child can fly. If a parent or legal guardian is not able to attend, please contact the Young Eagles Coordinator at youngeagles@eaa32.org at least 2 weeks prior to the event and he will mail you a form. The forms must be original and can not be emailed or faxed. Please remember to include your mailing address with the request. May 11th, June 8th and August 10th are FULL! The May 11th, June 8th, and August 10th Aviation Badge Workshop are full. Our other dates for 2019 are July 13, September 14, and October 5, 2019. (October 5th at Creve Coeur Airport). If members of your troop already signed up for April, May, June, or August please contact me at youngeagles@eaa32.org. 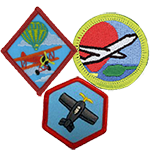 Beginning in 2019, the Boy Scout Aviation Badge session will be known as the Aviation Badge Workshop. The Workshop will include qualifications for Boy Scouts, American Heritage Girls (Tenderhearts through PA) and Girl Scouts (Juniors, Cadettes, and Seniors). For more information and the requirements for each badge, please visit our Aviation Badge page. Please sign up if you are attending the Aviation Badge Workshop as space is limited. This sign up is for the Aviation Badge Workshop ONLY. If you are not attending the Aviation Badge Workshop, you do not need to sign up ahead of time. YE Registration forms are available the morning of the event. For any questions or additional information, please contact us at youngeagles@eaa32.org. Click on the photo below to access EAA 32 Young Eagle's Flickr Page. We are hoping to set up a fabric covering seminar or classes later this year. Due to material cost and preparation items we may have to charge a small fee to cover items such as frames to cover and materials. I would like to keep this no more than $20-$30 for members. It should include basic covering as well as rib stitching. Fellow chapter members will teach this. How many people would be interested? Please contact a chapter officer. We have a number of members who are proficient at MIG and to some degree TIG welding. Please contact Don Doherty on helping with other members learning to weld. Volunteers are needed to help grass cutting once a month. During active growing season the grass needs to be cut once a week. During the dry season this sometimes drops to every two to three weeks. Volunteers need to be checked out on the mower. Cutting time takes about 1.5-2 hrs. Right now we have 2 or three people and need a couple more that are reliable. I would like to spend some of my weekends flying instead of cutting the ARC grass. Please contact Don Doherty. If you know of any aviation related up-coming events, please email the details to webmaster@eaa32.org and newsletter@eaa32.org. We need some new pictures of Member's Projects. 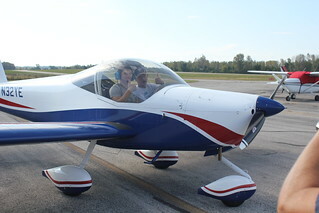 Even if you haven't completed a whole lot on your project, send some new pictures to webmaster@eaa32.org. The updated Membership Roster is now available on the Member's Only web page. Please check out your information, especially your phone or email address. If you need to make a correction, please contact Jim Bower at jimbower@hotmail.com and he will correct that in the database for the next printing. Buy them at face value, cash them in at face value, chapter receives up to 4% back. If you are a new member, check out the New Members section, for meeting information, membership application, link to join EAA national, and more. The Membership Committee will be contacting you to give you Membership Packet and Chapter 32 T-Shirt. Sign up at Yahoo! Groups to find out the latest information about Chapter 32 events, happenings or good old fashion hanger flying! It's free.